지정 대상 은 ｢퇴계선생문집｣ 경자년(1600) 초간본을 인출해낸 목판이다. ｢퇴계선생문집｣은 원래 본집 목록 2권 2책, 본집 49권 25책, 별집 1권 1책, 외집 1권 1책, 연보 4권 2책 등 모두 57권 31책으로 구성되어 있으나, 지정 대상 의 본래 수량은 경자년 초간본 ｢퇴계선생문집｣의 전질이 전래되지 않아 정확히 알 수 없는 실정이다. 경자년 초간본의 ｢퇴계선생문집｣은 조선시대 중기에 성리학을 독자적인 학문체계로 수립하여 후일 영남학파의 종주가 된 퇴계의 전집으로 퇴계의 학문관과 문학관의 연구에는 물론 성리학 등의 사상사 연구에 매우 귀중한 자료이다. 따라서 경자년 초각의 은 경자년 초간본 ｢퇴계선생문집｣에 못지않게 판본학적으로 매우 귀중한 문화재일 뿐 아니라, 서지학연구와 조선시대 중기의 목판인쇄문화연구 등에도 크게 활용될 수 있을 자료이다. 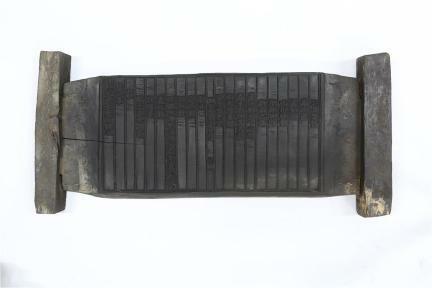 These woodblocks were used to print the original edition of Toegye seonsaeng munjip (Collected Writings of Toegye) in 1600. The writings of the great Neo-Confucian thinker Toegye (a.k.a. Yi Hwang, 1501-1570) collected in this book consist of 57 parts in 31 volumes, including the list of the main texts (2 parts in 2 volumes), the main texts themselves (49 parts in 25 volumes), additional writings (1 part in 1 volume), an outer collection (1 part in 1 volume), and a chronology (4 parts in 2 volumes). The exact number of woodblocks used to print the book remains unknown because no complete set of the original edition has survived to the present. Toegye's Collected Writings is generally regarded as a valuable source of information that sheds light on his philosophy and literary and academic, as well as the form of Neo-Confucianism developed in Korea (then Joseon) under his leadership.